Susan over at Wizards Wireless has got people talking about the first book they remember reading on their own. People are sharing some great books that have created some great memories for them. What a special thing, to remember that first book you read all by yourself! I, unfortunately, do not remember the first book I read on my own. But that got me thinking about other special memories I have that are connected with books. When I was little, we read Uncle Remus tales almost every night. We have (my parents still have it) a copy of Walt Disney's Uncle Remus Tales and my brother and I loved to hear about Brer Rabbit, Brer Bear, and Brer Fox. Night after night. We loved them. 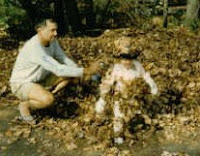 I remember that it was mostly my dad who read the stories to us and I cannot recall whether he attempted the dialect or not. My favorite was the one about De Wuller De Wust. I don't remember which tale it's in (I could tell you if I had the book, but it's at my parents' house in Kentucky), but there is one story about Brer Rabbit where he steals some honey. He eats that honey all up and when he's done, he's just covered in sticky honey. Then he hears someone coming and he decides to play a little prank. 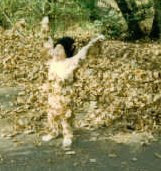 All sticky from the honey, he then rolls in some leaves and pretends to be the scariest creature in the world... De Wuller De Wust. 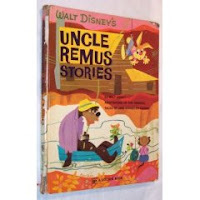 PS: The Disney version is long out of print, but if you want to check out some of the Uncle Remus tales, there's a retelling by Julius Lester (illustrated by Jerry Pinkney) that is still available. This "translates" the Southern African-American dialect into modern English (a sore point for some, but it may be easier to read). Or dive into the original stories with The Complete Tales of Uncle Remus by Joel Chandler Harris. The story was De Wuller-de-Wust. I totally played being it in the fall, but never for halloween. That was my favorite book ever, other than the Just-So Stories. I still have that one.